Don't forget your #stretchypants -- you're gonna need them. 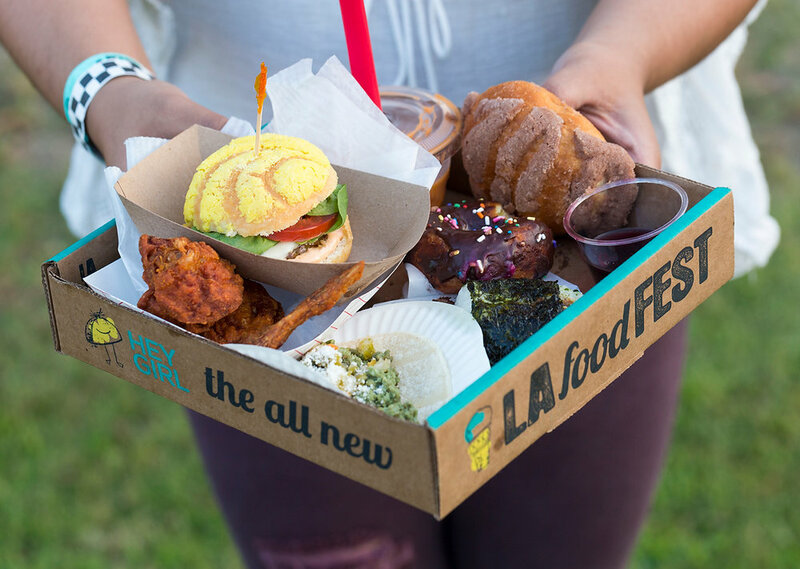 There’s a whole lot of food magic wrapped up in this year’s LA Food Fest including visiting chefs, local brews, and even a few *ahem* bugs to munch on. In what only can be described as a semi-religious experience, Dante painstakingly roasts large cuts over an open flame overnight, resulting in tender, impeccably cooked meat in need of no additional seasonings or sauces. Our new favorite cocktail hideaway, serving inspired classic cocktails and from scratch staples like their gin and tonic with a housemade tonic syrup that’s like nothing you’ve ever tasted. One of our Sunday Funday Summer Series Favs, Chef C serves up authentic cajun cuisine to LA. Known for his incredible Cajun Garlic Shrimp, we can’t get enough of the garlic lobster fries. Masters of Lamb Barbacoa and consistently rated as one of the top tacos in LA, this is one taco worth standing in line for. Trust. Insect focused cuisine geared at taking bugs mainstream. Chef Erwin Tjahyadi’s Indonesian spin on bonebroth with a flavor like no other. Born out of a childhood love of seafood and community, Christopher Tomkins’ pop-up raw bar experience combines high quality seafood with a passion for community.